Wendy C. Yu is licensed as an attorney in the State of California and practices business immigration law. Her practice area includes investment, employment, and family-based visa and immigration matters. In serving her clients, Ms. Yu has worked closely with real estate developers, business plan writers, economists and securities counsel to structure businesses for EB-5 investment funding. Ms. Yu also has a background in corporate entity formation and purchase-and-sale transactions pertaining to immigrant investor regional centers. Ms. Yu earned her J.D. degree from Loyola Law School, Los Angeles, where she was a senior technical editor for the Loyola of Los Angeles Law Review and a member of the LAWASIA moot court team. At the 2012 LAWASIA International Moot Competition, Ms. Yu became the first American to be awarded the Mah Weng Kwai Trophy for Best Mooter/Oralist. 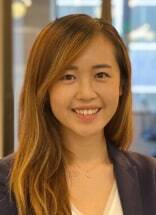 During law school, Ms. Yu also served as a federal judicial extern to the Honorable Sandra R. Klein. Ms. Yu received her B.A. degree with a minor in Chinese (Mandarin) from the University of California, Los Angeles, where she was Law Forum Director of the UCLA Pre-Law Society. Honors: Federal Judicial extern to the Honorable Sandra R. Klein.